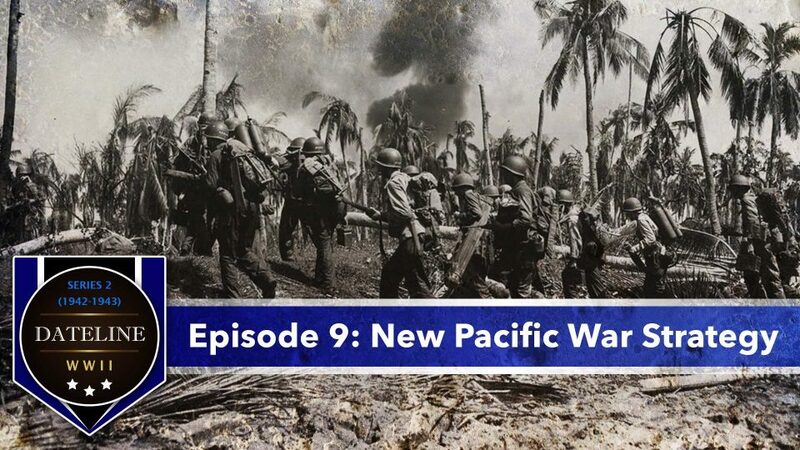 The Allies are besieged in early 1942 as the Japanese take the Pacific Islands. 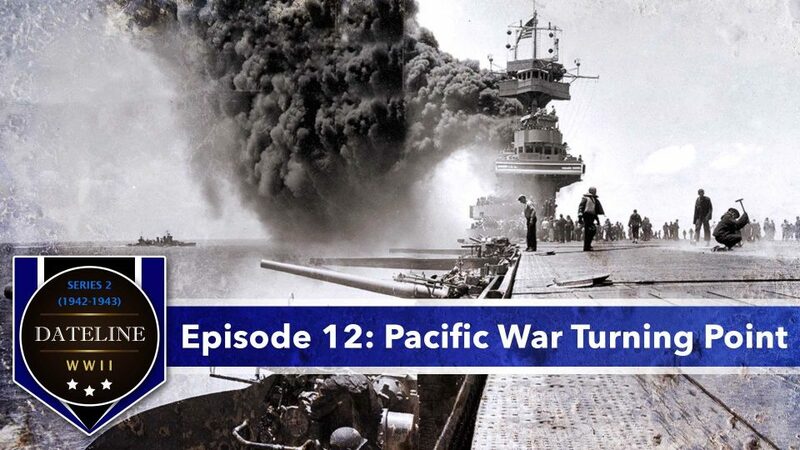 Allied victories at Coral Sea and Midway. Rommel, halted at El Alamein, now faces a two front war. Singapore falls to the Japanese. 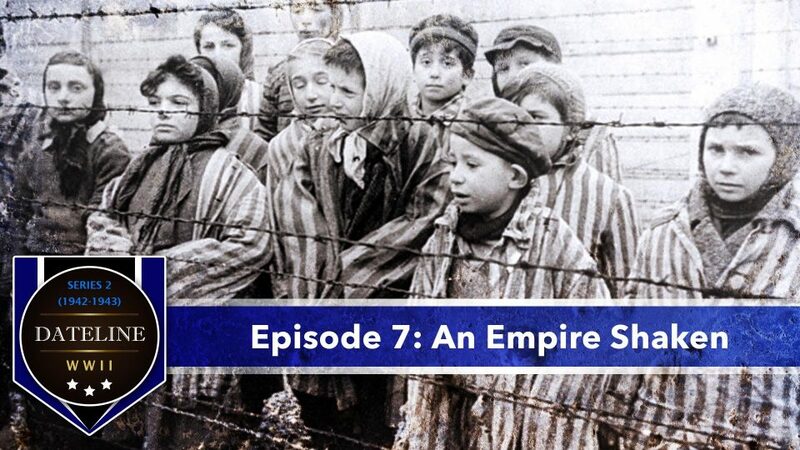 The Nazis decide on Final Solution to the Jewish question. Japanese-Americans are interned in the U.S.
General Douglas MacArthur promises to return to the Philippines. A look at life after enlistment in the Army. 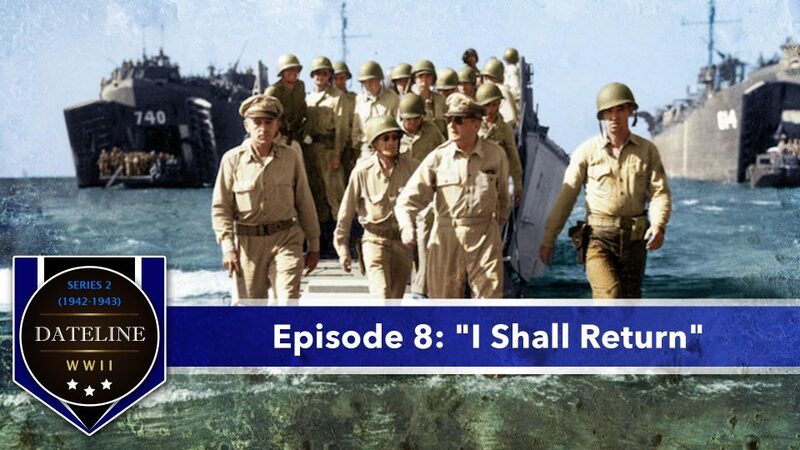 Allies split the Pacific command between General MacArthur and Admiral Nimitz. 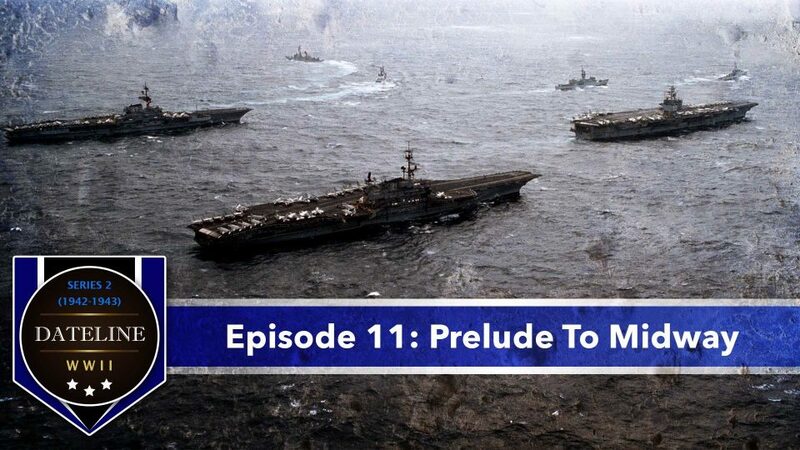 A look at America’s Military Industrial Complex. 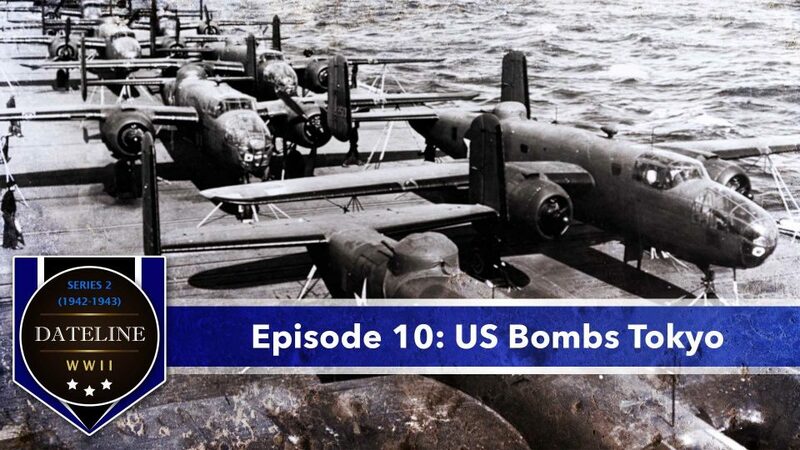 The Doolittle Raid marks the first attack on Japanese soil. In the Philippines, US forces on Bataan surrender. US wins victory in carrier battle in Coral Sea. The Japanese invade the Aleutian Islands. A look at the top Nazi leadership. 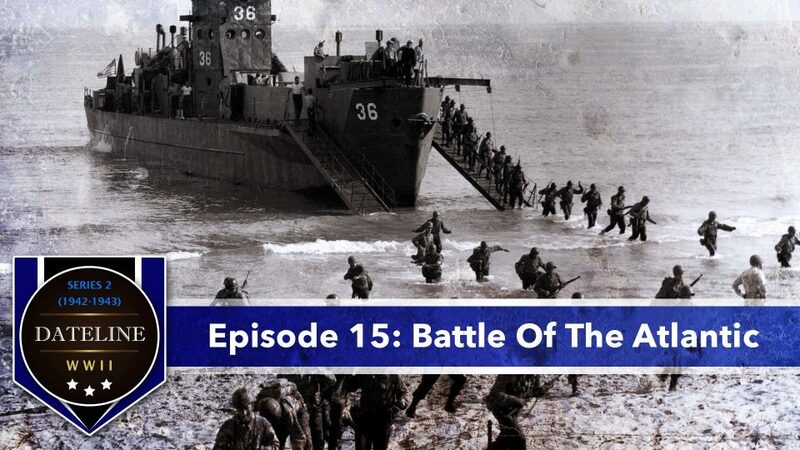 The U.S wins a decisive victory at Midway. Rommel captures Tobruk, and the Nazis begin their push toward Stalingrad. 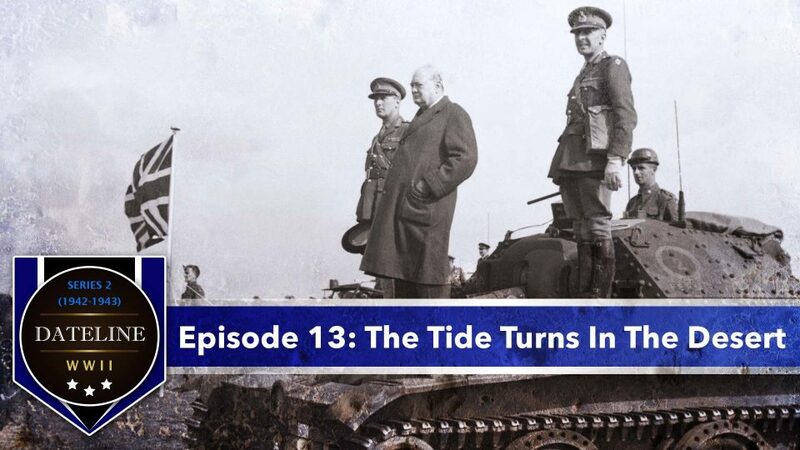 Churchill visits North Africa and Moscow. The Luftwaffe pounds the British on Malta, and Rommel is defeated at El Alamein. 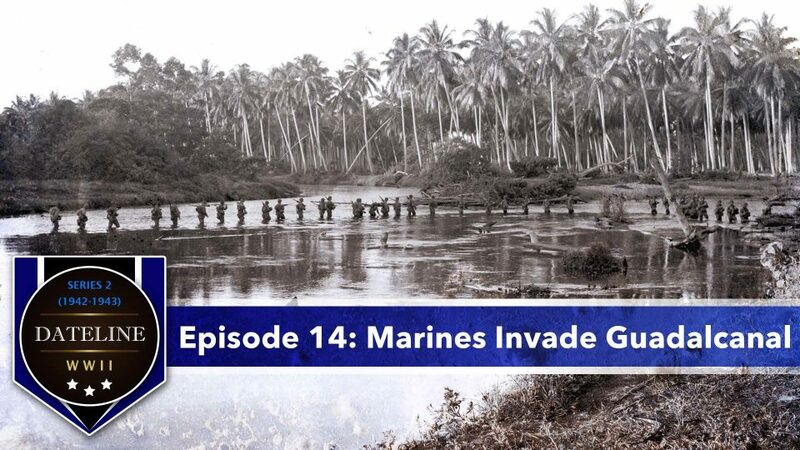 US Marines invade Guadalcanal. On the Eastern Front, Stalingrad is on the brink of collapse. 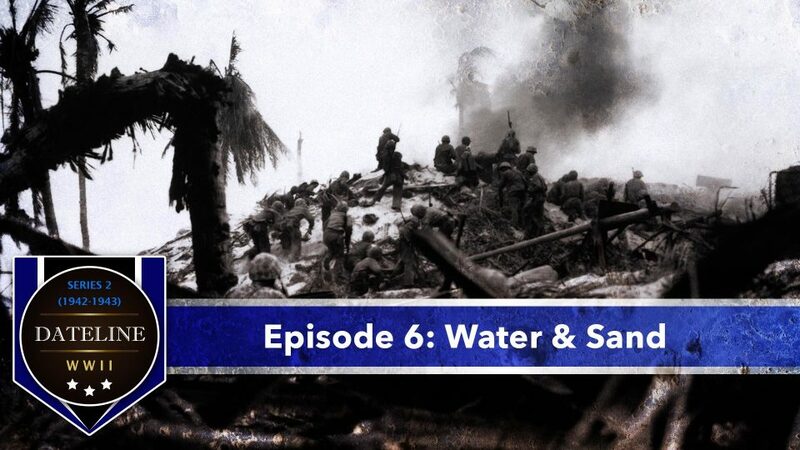 Marines battle for Bloody Ridge on Guadalcanal as Allies fight the wolfpacks for control of the Atlantic. 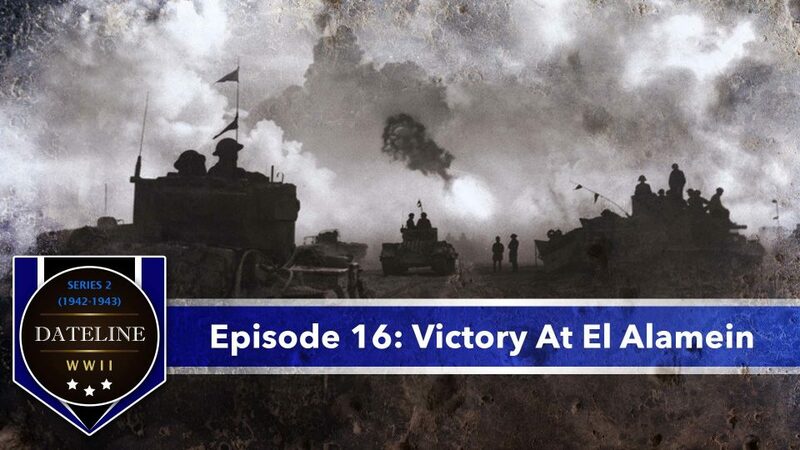 General Alexander wins at El Alamein, as the Americans land on the north coast of Africa. Also a look at medical care in the jungle.